Want to make a true emotional connection with your customers? Try cause marketing.That’s one way of referring to the trend of making charitable giving part of your brand’s business model. For today’s customers, especially millennials, much more than price consideration goes into a decision to buy just about anything. In fact, many consumers are willing to pay more when their purchase also supports a favorite non-profit organization. That’s why you can find brands giving back across almost every industry. Call it a caring approach to business. It’s not hard to think of a company doing this successfully. TOMS® Shoes, Warby Parker and BoGo Bowl are all popular brands which follow the one-for-one model, donating an equivalent item to charity for each purchase. Other businesses partner with complementary charitable organizations to donate dollars. 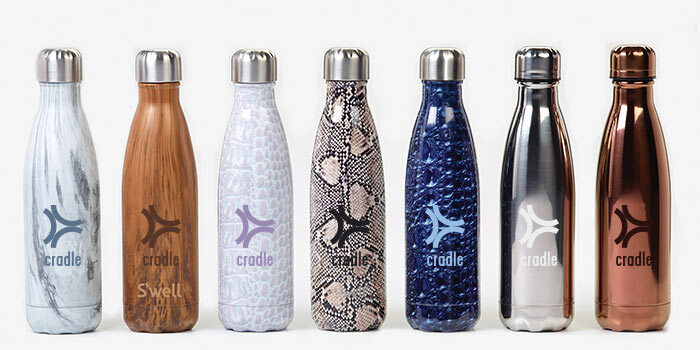 For example, S’well®, makers of super stylish bottles designed to keep your hot drinks hot and your cold ones cold all day long, work with UNICEF. UNICEF focuses on making clean water available to impoverished communities around the world. According to the organization, it can provide water to a child for 40 days on $1. S’well has contributed $100,000 to this cause through UNICEF. In any case, customers are apt to feel very good about investing in products or services from brands that give back. The customers get something they want, and they feel good knowing their money is also helping to support a cause they probably care about. No matter your industry, it’s easy for your brand to spread the warm fuzzies through a charity-driven campaign. You can even offer customized products made by companies that give back.